As a newer cyclist, the notion of group rides with stronger riders can be a pretty intimidating prospect. No one wants to be the one holding up the crew and getting left behind never feels good. This can be an especially difficult challenge for women, who are often raised to be less assertive when it comes to demonstrating confidence in their athletic abilities. It ends up having long-term consequences and can decrease overall satisfaction with the sport. As devout cyclists will pretty much all tell you, training with stronger riders is one of the best ways to improve and develop your abilities. To get some perspective on the issue, We Love Cycling talked to several bold women who overcame their inhibitions, and credit having the courage to train with stronger riders for helping make them into the cyclists they are today. Mandy Dicksee started road cycling in 2016. She was convinced by a friend to enter a charity event and was instantly hooked. She now cycles about a hundred kilometres a week, has pedalled from London to Paris in 24 hours twice, and thanks cycling for introducing her to many new friends and inspirational riders. Were you ever intimidated by riding with stronger riders? MD: Sometimes. I find that men are generally more competitive, when I cycle with them I feel like they are all trying to best each other. When I’m cycling in a group of women, we tend to ride at the speed of the slowest. I guess riding in a mixed group is best, it encourages everyone to pay more attention to the pace. Do you think fear of being the weakest in the group keeps women off their bike? MD: I have done most of my cycling and training on my own. However, I’ve found that riding with others is easier and I enjoy it a lot more. I was put off by cycling in a group for a very long time, but my local community group has really encouraged me and the others taking part. 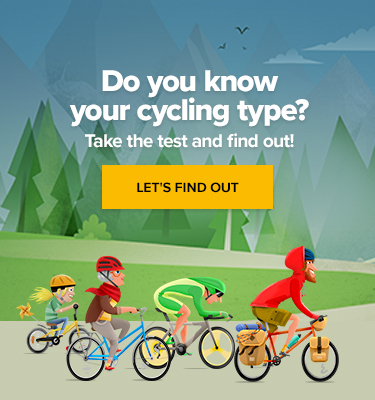 I think women are intimidated by big groups of guys, so I would suggest they look into women’s only events, or even post on their local community’s Facebook page that they are looking to cycle with other women. Carolyn Gaskell, founder and director of Velocity Urban Cycle Wear, has been cycling for a long time. She established her own urban cycling wear brand 5 years ago, has recently taken up road racing, and isn’t at all afraid to ride with the guys. How has your training regime evolved over the years? A few years ago, I joined a different club to train much harder in order to race. I’m now training in a more focused fashion using a power meter (which, as a geek, I love!). I spend 98 % of my time riding with men, and they are nearly all stronger than me. It’s often a case of hanging on as long as possible! I’ve always sought out stronger riders to train with. I really prefer it – I love to push myself and find it much more satisfying. I think after I found my feet with cycling, I was happy to ride with stronger riders. It’s important not to overdo it and burn out though – which is all too easy to do. 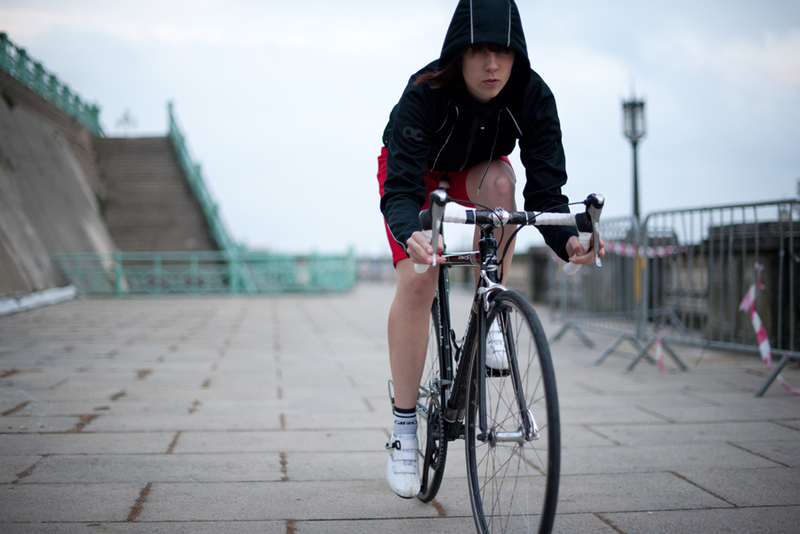 Do you think fear of being the weakest in the group keeps women off their bike? What would you say to encourage them? One of my older, wiser training partners always tells me… there’s ALWAYS going to be someone stronger than you. It’s true, and I think it helps keep everything in perspective – whether riding as the weakest in the group or riding as the strongest. Besides, what’s the worst that can happen?! 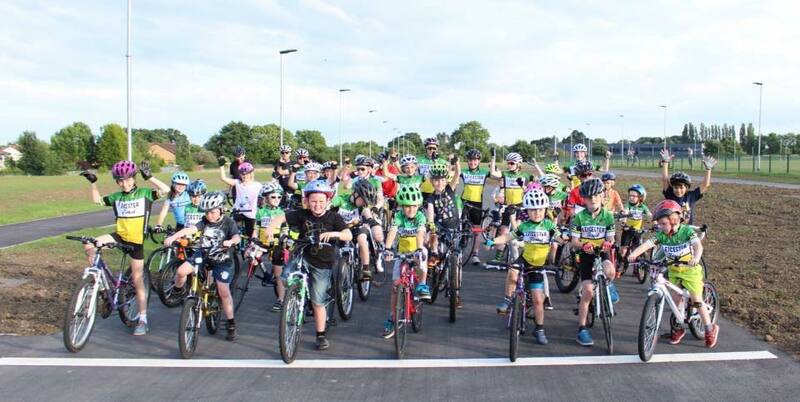 Lucy Sturgess, a member of the Leicester Forest cycling club and a brand ambassador for Rutland Cycling, began riding four years ago. Following some big life changes that resulted in a lull in her exercise routine, she decided to sign up for a bike and kayak challenge event to get herself back in shape. She now has her own cycling blog, promoting equality in cycling, and is determined to keep evolving as a rider. I ride with stronger riders a lot and I get dropped on the local chain gang all the time! I just try and hang in that little bit longer or for as long as I can. I’m not afraid of being dropped and just give it my best shot. When I first joined my cycling club, there was one other lady riding on the fastest club run. I thought to myself if she can do that, then so can I. It’s a tough group to ride with, but always worth it for the sense of achievement! I would say that sometimes this is the case, but not always. I always regret not trying more than giving it my best shot. The sense of achievement after a hard race or ride is always the most satisfying! I would say just have a go and do your best, what’s the worst that can happen?! We’d have to agree with Ms. Sturgess. Like many of the obstacles we face it life, when it comes to venturing out with a strong group of riders, the hardest part is just getting started. The cycling community is full of riders looking to share their love of the sport, with enthusiastic cyclists of all levels. And who knows? You might just surprise yourself.